Live action adaptation of the popular Roald Dahl children's novel. The BFG is a missed opportunity, a drab, lifeless affair, as fun as listening to your Dad read you a chapter from the Barney storybook when you've got a copy of Tales From the Crypt hidden under your pillow. As a child, like most children, I immensely enjoyed being terrified, and many of my harmless traumas were delivered by Steven Spielberg. My introduction to gore came at an early age through Jaws, when the image of Robert Shaw gurgling blood as he's bitten in half embedded itself in my nightmares. Then came the melting Nazis of Raiders of the Lost Ark and the face peeling of Poltergeist. Even E.T. played as a horror movie until I was old enough to realise I wasn't meant to be afraid of the titular alien. Those 10 years my junior surely had similar experiences involving Jurassic Park. Spielberg knows how to thrill kids, and he sure knows how to terrify them, but it seems he's no longer interested in the latter, and as a result, his films just aren't so thrilling any more. His latest is an adaptation of a story by Roald Dahl, an author responsible for the nightmares of the generation that came before mine. His work prepares children for the adulthood by letting them know there's much beauty in the world, but also a lot of terror. Nobody who grew up watching Willy Wonka & the Chocolate Factory will ever forget that ghastly image of a chicken having its head cleanly sliced off in the nightmarish tunnel sequence. 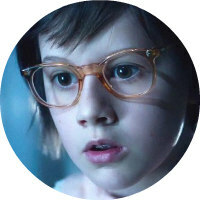 So a Spielberg adaptation of a Dahl book should be a masterpiece of kiddy horror, right? Well no, far from it, because Spielberg has made the sort of film every parent wants their kids to watch, as opposed to the type of film every kid wants to watch. The title character, a big friendly giant, is played impressively by Mark Rylance, who seems to have become Spielberg's new muse. We meet him first in the sort of bravura cinematic sequence that instantly makes the film stand out as the work of one of cinema's greatest filmmakers, as his huge form shuffles through the dark, night-time streets of a fantasy London, employing imaginative ways of hiding his considerable form from human eyes. 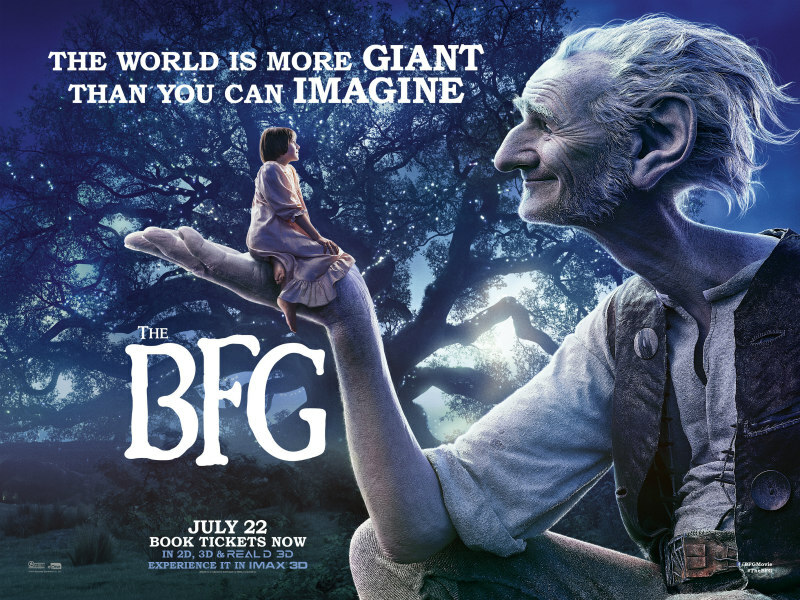 The BFG is spotted by one human however; a young girl, Sophie (Ruby Barnhill), who lives unhappily in an orphanage. 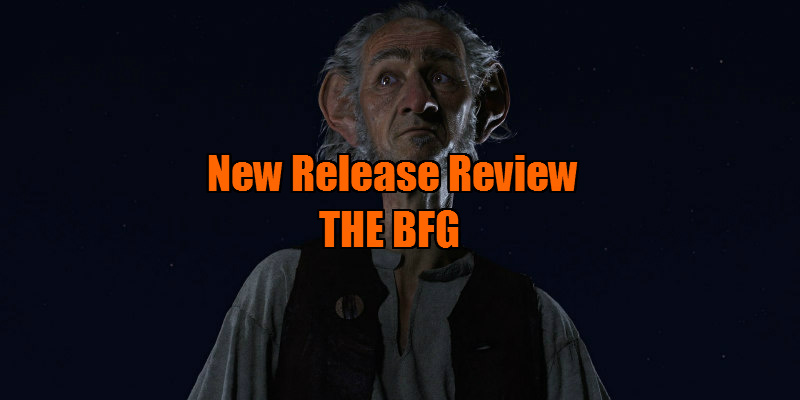 To protect his secret, the BFG kidnaps Sophie and takes her back to his home in Giant Country. We then learn of the presence of other giants, who dwarf the BFG in scale, and are by no means friendly; in fact they live on a diet of humans. This gives rise to one of the film's big stumbling blocks. Spielberg simply tells us his villains are a threat, but he fails to back this up with any visual evidence, making the actions taken against the giants in the third act seem a little cruel and unjustified. Think of Jaws if the shark was never seen eating anyone - we wouldn't have a lot of empathy for the three men out to kill it, would we? The biggest issue with The BFG is its pacing. Spielberg stretches out Dahl's short tale to close to two hours, and some scenes are so needlessly extended the film often feels theatrical, an accusation I never thought I would make against a filmmaker as cinematic as Spielberg. The first two acts largely take place in the BFG's lair, and at times the film resembles a CG heavy version of a play being beamed into a cinema from London's West End. The hijinks of the central pair are tired and dated, none more so than a recurring fart gag, which Spielberg puts far too much work into pulling off. Granted, it's probably the most cinematic fart gag ever, but it's still a bloody fart gag! Ultimately, we're left wondering how 1982 Spielberg's version of this story might have played, when the director was still something of a child himself. 2016 Spielberg's The BFG is a missed opportunity, a drab, lifeless affair, as fun as listening to your Dad read you a chapter from the Barney storybook when you've got a copy of Tales From the Crypt hidden under your pillow.